White-tailed deer are the only native deer in Illinois. 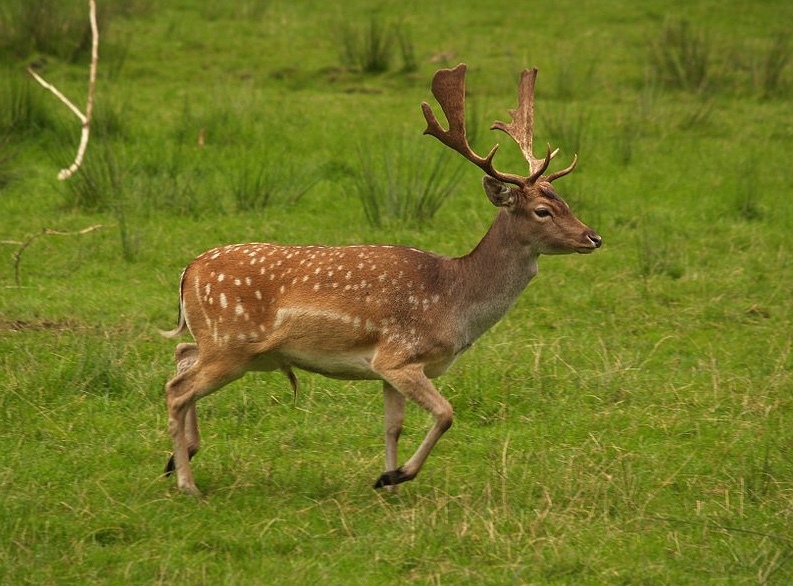 Occasionally, captive deer such as fallow deer or sika deer escape and are seen roaming free. Fallow deer are native to Europe. 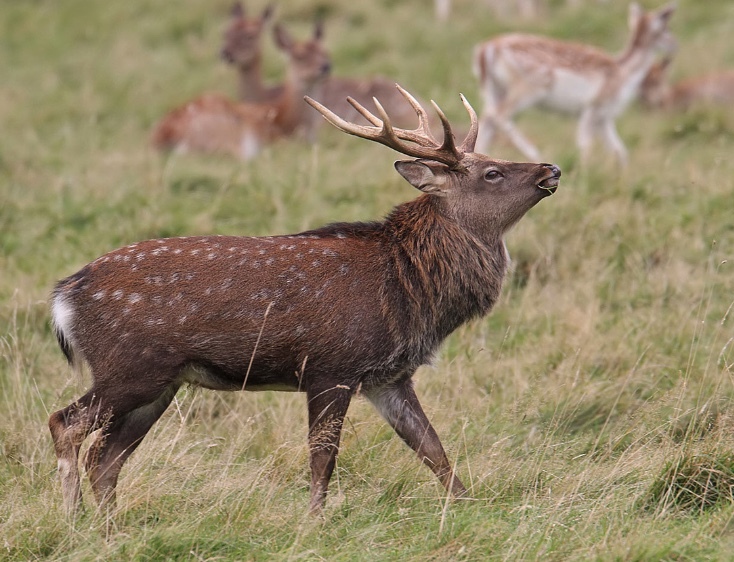 They are medium-sized, rust colored deer with white undersides, rump patch and side spots. The coat color can vary from rust to tan and even black or white. Adult males have large, palmate antlers. Fallow deer stand 3 feet at the shoulder. Adult males weigh approximately 190 pounds and adult females weigh approximately 90 pounds. Sika deer are native to Japan. They are small, reddish-brown deer with white spots. They weigh approximately 100 pounds and stand 2.5 feet at the shoulder. Males typically have a dark mane on their neck. Fallow deer and Sika deer are not native to Illinois. Neither species is protected in the state. If you have seen a non-native deer roaming free in Illinois, please submit a sighting report to the Illinois Department of Natural Resources.